Tips for creating your best SF moments! 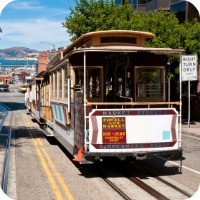 These recommendations of San Francisco things to do are experiences that are treasured by locals and tourists alike! 1. Get out on the bay! Whether you ferry across to Sausalito or Tiburon, charter a private sailboat, catch a sightseeing tour to under the Golden Gate Bridge, or make a trip to Alcatraz, there is something remarkable about viewing the city and surrounding bay area from the water. As someone who lives here, I usually only take the time to do this when visitors come to town, but it's been an amazing experience every time! 2. Browse the delicious food goods at the Ferry Building. This is a favorite destination among both tourists and locals, and it should be on your list of San Francisco things to do if you consider yourself a foodie! You can pack a picnic of goods from the organic market, sample decadent chocolates or artisanal breads and cheeses, taste local wines, or sit-down for oysters at the Hog Island Oyster Company. You might also choose to dine at the swanky waterfront restaurant, The Slanted Door, one of the best San Francisco restaurants serving up Vietnamese cuisine. The Ferry Building itself is gorgeous, and the Embarcadero Promenade is a lovely place to stroll. 3. Ride the Hyde-Powell Street Cable Car. Ok, I have to admit... I lived in the city for a loooooong time before I did this, but it's a truly novel experience. 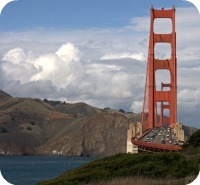 There are several reasons why it's on the list of fun San Francisco things to do. First, San Francisco in the only city in the US to still have original cable cars operating. Secondly, riding a cable car is a great way to experience our super steep streets. And thirdly, it rolls through some great parts of town. You can catch it in Union Square after a day of shopping, soak in the charm of the (not-so-touristy!) neighborhoods of Nob Hill and Russian Hill, and then snap views of the SF Bay as you travel down Hyde Street. Instead of taking the cable car all the way to Fisherman's Wharf though (which is what most tourists do), hop off at Lombard Street. You can get your pictures here of the crookedest street, and then head over a couple of blocks to Polk Street which is where the locals go for dinner. You can always walk to Fisherman's Wharf after dinner (it's close!) if you are interested in picking up some San Francisco souvenirs for folks back home. 4. Sip cocktails at a downtown, high-rise lounge with a view. This is always a fun way to take an afternoon break, and it's easy enough to fit into a busy day of sightseeing. 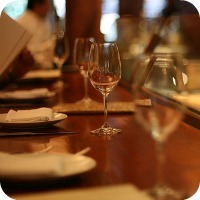 Try visiting the cocktail lounge at the Grand Hyatt near Union Square or The View in SOMA. Both places offer dramatic cityscapes that are impressive day or night. 5. Bike the Golden Gate Bridge. Anyway you choose to see the Golden Gate Bridge will be cool - it's one of San Francisco's most awe-inspiring attractions. The reason I recommend biking the bridge is that there is an epic day-trip that you can take which allows you to explore very scenic parts of the city and beyond. Start the day by renting bicycles from Fisherman's Wharf. 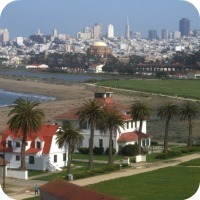 You'll ride past Fort Mason, affluent homes by the Marina Green, and Crissy Field before reaching the bridge. When you have seen your share of the Golden Gate Bridge, continue riding north into Marin to the charming town of Sausalito. 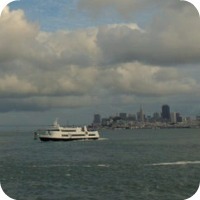 From there, you can catch the ferry back to Fisherman's Wharf! It's an awesome and invigorating way to spend the day! 6. Taste tea, sample dim-sum and find the fortune-cookie factory in Chinatown. 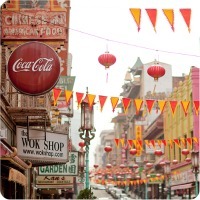 Chinatown is an experience for the senses, and is not a neighborhood to be missed! You can have a free tea tasting at Vital Tea Leaf, or, if you're in a hurry, get a boba tea to-go from Ten Ren Tea. They serve both hot and cold teas, with and without the tapioca "pearls". If you don't mind waiting in line, try the egg custard tart from the Eastern Bakery. It's known for making the best in town. The lounge at the Empress of China is a nice place to stop for a happy-hour cocktail, or, if you are in the mood for an off-beat afternoon, let yourself wander into the notorious Chinatown dive bar, the Buddha Lounge. 7. Have a chat with friends over cappuccinos and gelato in North Beach. North Beach is the most European of all the San Francisco neighborhoods. Known as the "little Italy" of the city, here you will find tons of bars, cafes, and restaurants with tables spilling out onto the sidewalk. Everyone always talks about Cafe Trieste, and while it is a cool coffee shop with a significant North Beach history, I love to go to Cafe Greco which serves the most amazing gelato and scrumptious Italian pastries! 8. Take in the view at one of San Francisco's many hilltop destinations. 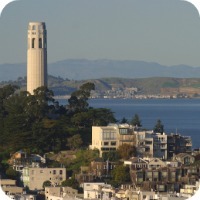 Coit Tower is a beloved San Francisco icon. It's the most popular of the all the viewpoint destinations, and has great views of the nearby steep streets. Twin Peaks has the most expansive view, is free and is not as crowded as Coit Tower. It's located further away from downtown which makes it less convenient to get to, but the effort is worth it. Grandview Park (aka Turtle Hill) is a local's favorite place, and definitely more off-the-beaten-track. It's not as centrally located as Twin Peaks, but the views will still super impressive. There is also the beautifully-tiled Moraga steps (at 16th Avenue) that lead you to the top. 9. 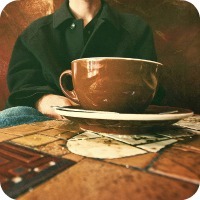 Stroll along the promenade at Crissy Field, and stop in for a hot chocolate at the cozy Warming Hut. A site which used to be a historic air landing strip, this is one of the most picturesque outdoor settings in San Francisco. Crissy Field offers pretty views in every direction. You can see the San Francisco bay, Alcatraz, the Golden Gate Bridge, the Marin headlands, and city skyline. The restored tidal-marsh habitat that you see here is what much of the area used to look like. Today it's home to several species of birds and fish. 10. Go shopping on Haight Street. You won't find anything like the stores on Haight Street elsewhere in the city. It's a fun mix of thrift stores, vintage clothing shops and boutiques selling everything from classy dresses, glittery costumes (San Franciscans love an excuse to dress up), urban gear and tons of unique shoe designs. If you are a music fan, don't forget to check out the world-famous, Amoeba Records Store. 11. 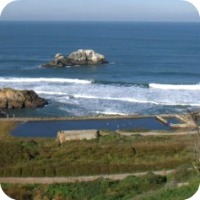 Explore the Sutro Baths ruins and walk along the Lands End trail. This is a corner of San Francisco that isn't explored much by tourists, but it's a worthwhile experience for those that make the trip. A rugged but beautiful coastal area, it's one of my mom's favorite places to bring out-of-town guests, and somewhere that I love to walk regularly. There are fantastic views of the Pacific ocean, Marin Headlands, and Golden Gate Bridge, and if you are feeling energetic, you can hike all the way to the Golden Gate Bridge. 12. 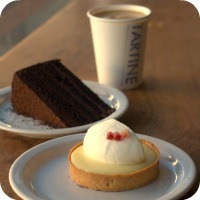 Eat a pastry from Tartine bakery and people-watch in Dolores Park on a sunny afternoon. Tartine Bakery, voted number one bakery in San Francisco, is so notoriously good that they don't even need any real signage out front - so they don't have any. Located at the corner of 18th Street and Guerrero in the Mission district, you will know them from the line forming out the door. Dolores Park is a sunny hang-out that tends to appeal especially to young, hip urbanites. It's also one of the locations of Film Night in the Park which happens during the summer - and is definitely one of the most amusing San Francisco things to do! 13. 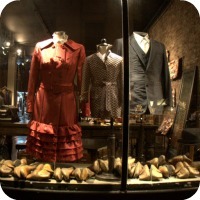 Browse boutiques on Hayes or Fillmore Street. If you like to shop, this is a must on your list of San Francisco things to do! Union Square will get you all the major brand names, but for something more unique - you have to venture into the San Francisco neighborhoods. If you appreciate original and quality designs of handbags, clothing and shoes, you will definitely want to browse the shops in Hayes Valley or along Fillmore Street. Both are more local neighborhoods, and also have lots of places for indulging in the best of San Francisco food, drink and sweet treats. 14. Catch a movie at the Castro Theater. Built in the 1920s, this is definitely the most beautiful movie theater in the city. Come here to watch sing-a-long showings of Grease, The Little Mermaid or The Sound of Music, as well as to hear the organist play on a vintage Wurlitzer during the pre-show open seating. 15. 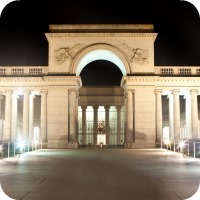 Visit one of our amazing San Francisco museums. Although there are tons of museums to choose from, the De Young museum, the Academy of Sciences, the MOMA and the Legion of Honor are the most popular. Each has something unique to offer and they all have fascinating exhibits that frequently pass through. Admission to either the De Young or the Legion of Honor will get you a free entry into the other if you go on the same day. That's 2 for the price of 1! If you are on a budget, each of the museums has a free day at least once a month. 16. Catch a ball game at AT&T Park. Even if you are not a huge baseball fan, catching a game at the nation's prettiest ball park is a worthwhile experience. If you sit in the "nose-bleed" seats, you'll have a stunning view of the San Francisco Bay! 17. Have a fancy dinner. San Francisco, has some of the best food in the world. And it's not just because I grew up here that I think so! Since California has a year-round favorable climate for farming, we have access to an enormous diversity of fresh foods. Combine that with the international influences, as well as the boundary-pushing and innovative character of San Francisco - and you end up with literally 100s of places to dazzle your tastebuds! 18. Catch the sunset at Ocean Beach. 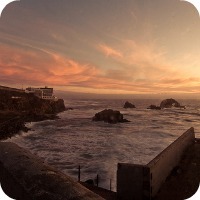 Ocean Beach is roughly 3.5 miles of wide-open coastline along the west side of San Francisco. Powerful and rugged, it's almost hard to believe that you are still in a city! The Beach Chalet and Cliff House are popular dining locations that offer great views of the ocean, and are perfect for watching the sun dip down into the horizon. 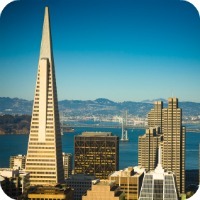 You might also be interested in Off-The-Beaten-Path San Francisco Things to Do!